The New York Yankees just missed out on sweeping the Houston Astros, one of the teams they are chasing in the playoff hunt, dropping the finale by a score 0f 4-1. After a day off, they continue on this six game road trip with three contests with the Tampa Bay Rays. Tampa also was off on Thursday, having just completed a nine game, three city road trip out west, finishing with a mark of 4-5. The Rays are now 39-61 and in last place in the American League East. They were having a respectable season up until they dropped 22 out of 25 games leading into the All-Star Break. Now, the only talk surrounding them is who are they going to part with at the trading deadline? The Yanks have taken 4 of 6 so far from them this year. Stat third baseman Evan Longoria, the subject of rumors linking him with the Los Angeles Dodgers, is having a tremendous season. He leads the Rays in just about every offensive category including home runs with 23, which is eighth in all of baseball, along with .340 on-base percentage. Shortstop Brad Miller is having a nice offensive season with 15 home runs and he owns eight hits in last 25 at-bats. Could we be witnessing the final series of Steve Pearce in a Tampa uniform? 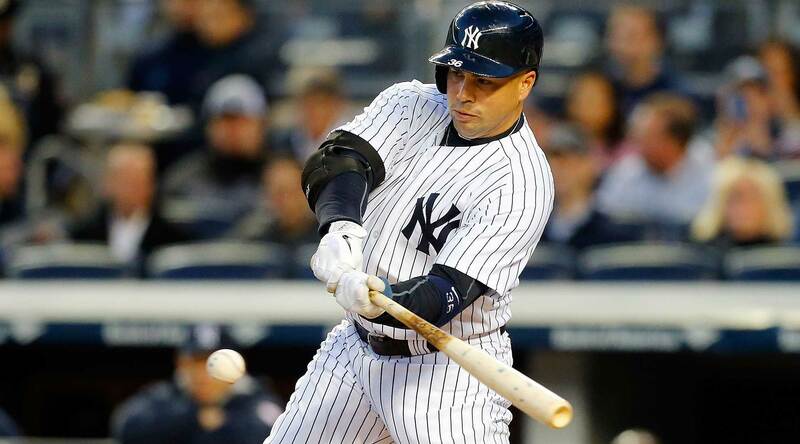 The veteran has some value as a guy playing multiple positions and is having a solid campaign with a .312 batting average and a .384 OBP in 224 plate appearances. Outfielder Corey Dickerson, acquired in an offseason deal with the Colorado Rockies for reliever Jake McGee, has 14 home runs and has eight hits in his last 28 at-bats. The bottom line is the Rays do have some power as they are tied for tenth in home runs but rank near the bottom in OBP and runs scored. Right-hander Jake Odorizzi gets the ball in the opener and will oppose Ivan Nova. Odorizzi has been linked with several teams, as have most of Tampa’s starters to teams such as the Texas Rangers. He is 4-5 with a 4.10 ERA in 21 starts with his last one a dominant performance. The 26-year old Odorizzi shut out the Oakland A’s over eight innings but took a no decision when the bullpen blew the lead. On Saturday, Drew Smyly will face Nathan Eovaldi. The 27-year old lefty was one of the prizes when David Price was traded to the Detroit Tigers but he has struggled to the tune of a 2-11 record and a 5.42 ERA in 2016. However, one of those wins was at Yankee Stadium, a game I attended, as he held the Yanks to one run over seven innings in an 8-1 Rays’ victory. The finale will have Tampa’s prized youngster Blake Snell facing Michael Pineda, the guy who was Smyly’s opponent back in April. The 22-year old lefty is 2-4 with a 3.05 ERA in his first eight Major League starts. Over his last 18 2/3 innings, a span covering three starts, Snell has allowed only four earned runs. He is the only Rays’ starting pitcher who hasn’t come up in trade talks as his team won’t be doing any buying this year.